Louisville Center for the Arts, 801 Grant Avenue. Breakfast, a 2013 review, a look at 2014, networking and fun! We look forward to a very prosperous 2014. Lots of movin’ and shakin’ going on Downtown. Unfortunately we have to say goodbye two businesses, Sunshine and Rain and L.A. Coopersmith. We are sad to see them go and wish them the best in their next adventure. Bella Frida is moving into the In Season Local Market building on Main street, and our newest neighbor, Cooper’s Corner had a great first month. Staufer Realty and Boulder Creek found new homes on Main street and we know there’s more in store for all of Downtown. 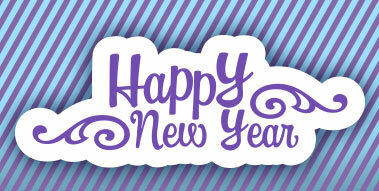 Thanks for all your support and don’t forget our Annual Meeting on January 16 at the Cultural Arts Center. See you there! Shop until Jan 12 or whenever the inventory is depleted. All merchandise will be discounted 15% – 50%. We bid a fond farewell to such a gem in our neighborhood. The folks at Sunshine and Rain want to say thanks to the Louisville community and to its loyal customers for the wonderful experience here. But don’t worry, you can still buy their unique and adorable merchandise online. Having trouble relaxing after the craziness of the Holidays? Aspire is offering a special $39 de-stressing session of your choice for neck pain, back pain or no pain at all! Treatments may include use of electric stimulation, heat, soft-tissue stretching, therapeutic exercise or just plain “get the knots out” bodywork. Contact Julie at 720-523-0643 for an appointment. The studio will be hosting special days for Headshots all month long. Each headshot is $65 and includes an online viewing gallery for choosing a final image. One fully digital file will be supplied. Contact the studio at 303-477-3730 and get yourself a professional profile photo. New Year’s Resolution to commit to a healthier you? Join Anna Applebaum for this introductory series, designed for those new to yoga or looking to refine their knowledge. This class meets weekly for 3 consecutive weeks, offering alignment, strength, relaxation, and leaving you feeling ready to take regularly scheduled classes. 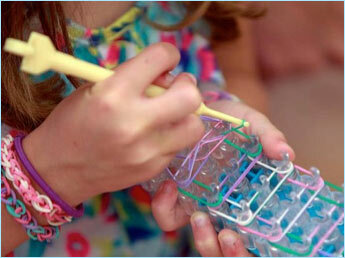 For ages 6 and up, create beautiful pieces on the Rainbow Loom. The Library will provide some looms and rubber bands, but bring a loom from home if you have it to use. Share tips, tricks, and patterns. For parents and their school-age children. Read Newbery winners, classics, and fun new books and discuss them. The program kicks off with The Tale of Desperaux by Kate Dicamillo. Register at the Children’s desk and get a copy of next month’s book. The program is currently scheduled through March. Learn how hypnotherapy can help create success through using your mind and body connection, and take home some everyday strategies to achieve your health goals. 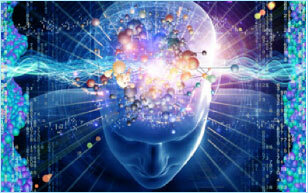 More and more, people are achieving greater success through hypnosis. You can manage emotional distress or unpleasant physical symptoms, change habits or behaviors, help your body use its natural abilities to achieve an athletic goal, heal an injury, or prepare for a medical procedure. Join neuroscientists from the University of Colorado Boulder Intermountain Neuroimaging Consortium (INC) for a discussion of brain health. Researchers will give an overview of the mechanisms by which healthy lifestyle choices affect the brain, and will discuss their current research exploring the effects of exercise, stress, alcohol consumption, and meditation on brain structure and function. Neuroscientists and students from the University of Colorado Boulder Intermountain Neuroimaging Consortium (INC) will provide hands-on activities for elementary-aged children to learn about how the brain works, how neuroscientists study the brain, and how kids (and even parents!) can help their brains grow stronger and healthier. Join us as we decode MRI images, build neurons, act like neurotransmitters, and send eggs on dangerous adventures. 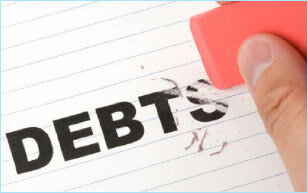 The Library is adding several new activities for teens. These programs occur monthly, as noted, beginning in January.